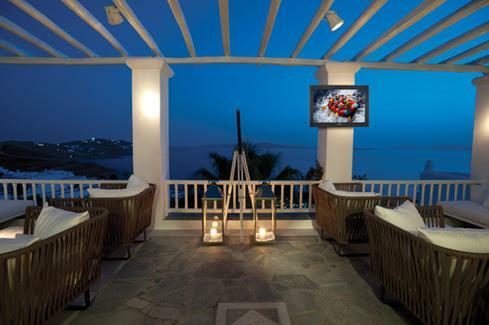 SunBriteTV's Pro Series weatherproof TVs take outdoor viewing to the next level. By buying this product you'll earn up to 3895 Rewards points. 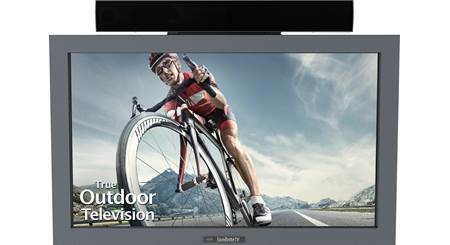 SunBriteTV's Pro Series weatherproof TVs take outdoor viewing to the next level. 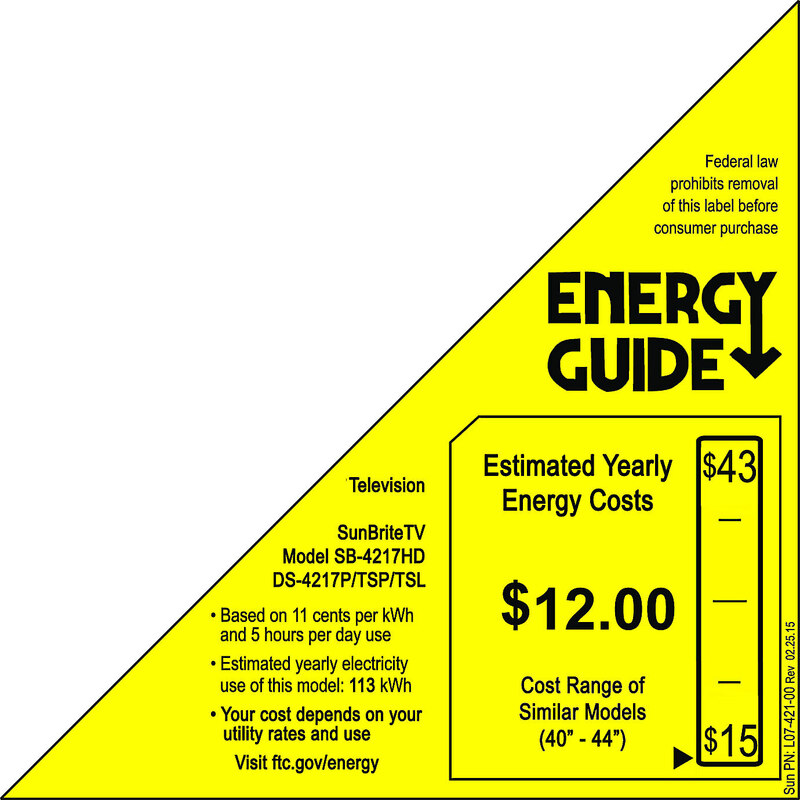 Extended Solar Tolerance (EST) technology allows the TV to be viewed in direct sunlight. 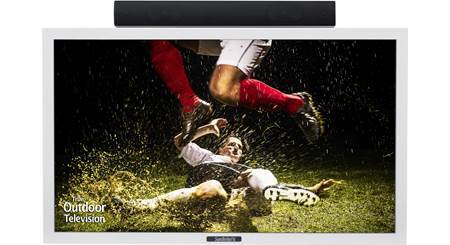 An anti-reflective protective glass in front protects the TV screen from potential damage. That's especially important if the TV is near a play area, such as a pool, where an errant volleyball or Frisbee® could smack the screen. Installed in a patio (black finish). Designed to live outdoors year-round, the 42" SB-4217HD is a perfect addition to your outdoor kitchen or patio, deck, yard, or other outdoor living area. 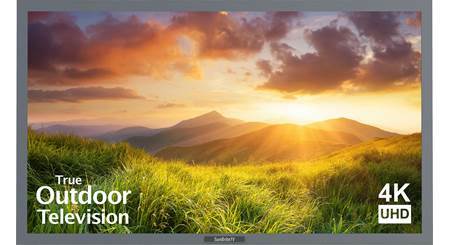 The bright LED-lit panel delivers brilliant, colorful images — whether you're watching in afternoon sunlight or silvery moonlight. The notion of leaving a TV out in the elements takes some getting used to, but this TV is incredibly rugged. This TV's powder-coated aluminum exterior resists heat, cold, and moisture. A multi-fan airflow system keeps the unit cool and dry in temperatures up to 122°F, and this TV will keep performing flawlessly even when the temperature dips to -40°F. In the world of outdoor TVs, SunBriteTV is known for providing both quality and value. Every one of their TVs is designed, engineered and built in California. You'll find two HDMI inputs for high-def sources like a Blu-ray player and a cable or satellite TV box. There's a standard PC input for your computer, too (great for streamed video or sharing vacation slideshows). A detachable all-weather speaker bar is included, and you can attach it either above or below the TV screen. SunBriteTV really thought of everything — even the remote control is weatherproof! Pro Series Outdoor HDTV: The Pro Series Direct Sun Outdoor LED-LCD HDTV is water-resistant, resilient, and durable. Its guaranteed to function safely and effectively in a wide variety of elements including rain, snow, extreme heat and cold, dust, salt air, and beyond. A tempered glass shield protects the LED-LCD screen in active environments, while direct sun readable EST technology helps guard against isotropic blackout. 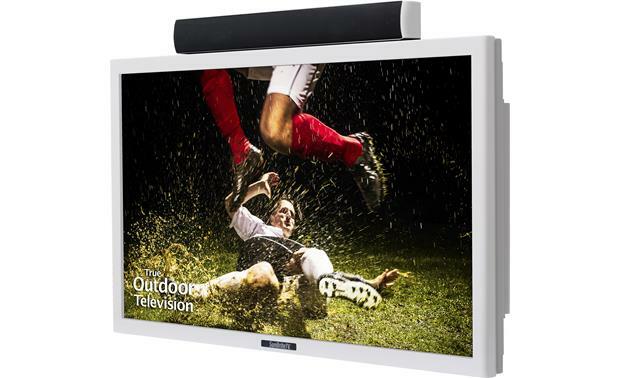 Its powder-coated aluminum exterior shields internal components while the ultra-bright, full 1080p HD / LED-LCD anti-glare screen delivers exceptional outdoor viewing quality. Powder-Coated Aluminum Exterior: Made for permanent outdoor installation, a powder coated aluminum exterior protects against rust while shielding the internal components from rain, snow, dust, insects, humidity, and salt air. Ultra-Bright, Anti-Reflective Screen: Indoor TVs are designed for lower indoor brightness levels and often feature a high-gloss finish, which can make for a poor outdoor viewing experience. SunBriteTV Pro Series has high temperature tolerant, ultra-bright (700 NIT) professional-grade anti-reflective screen to deliver clear images in brighter outdoor lighting conditions. Enhanced Solar Tolerance (EST): The SunBriteTV Pro Series is direct sunlight readable, featuring high-temperature Enhanced Solar Tolerance (EST) technology to help guard against isotropic blackout (those annoying dark spots that could appear over the screen when it faces the sun). Tempered Glass Shield: A tempered glass shield protects the LED-LCD screen in direct sunlight environments. Thermal-Flow Air Ventilation: A built-in heating and cooling system allows the TV to operate in temperatures from -40 F up to 122 degrees F.
Note: Indoor TV manufacturers specifically prohibit outdoor use. Installing a display that is independently certified safe for outdoor use helps protect homeowners from harm and installers from liability. Built-In OTA Tuner: The Pro Series SunBriteTV has built-in over-the-air HDTV (ATSC) and Digital Cable (QAM) tuners, so you don't need a separate set-top box to receive and decode over-the-air HDTV/SDTV or unencrypted Digital Cable signals. 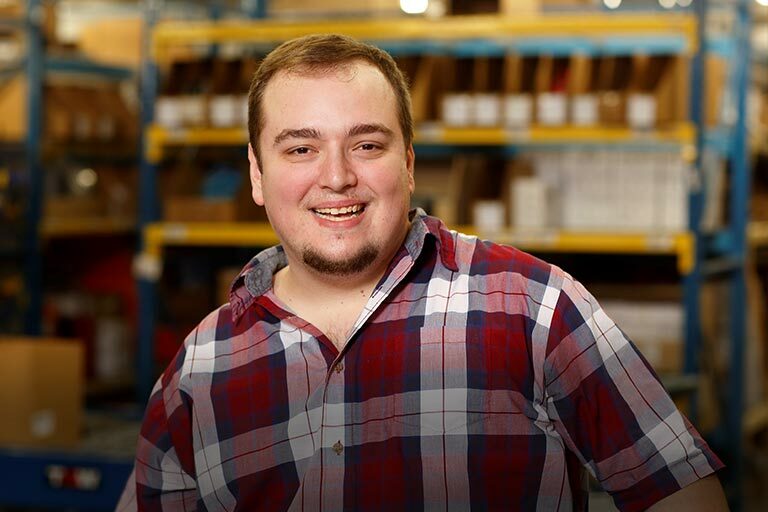 There is a single coaxial RF (f-type) connector to connect your antenna (sold separately). Audio/Video Inputs: The Pro Series SunBriteTV is equipped with HDMI, Component, Composite, S-video inputs; along with RCA audio inputs. HDMI: There are two HDMI inputs which support 480, 480p, 720i, 720p, 1080i, and 1080p video; along with 2ch PCM (not compatible with Dolby Digital/DTS). Component: There are two component video inputs that support 480i, 480p, 720i, 720p, and 1080 video. Each component video input is paired with a stereo audio RCA input. Composite: There is one composite video input that supports 480i video only. It is paired with a stereo audio RCA input. S-Video: There is one S-video input that supports 480i video only. It shares the same stereo audio RCA input as the composite video input. Note: This TV is not 4K or HDR compatible. PC Input: A 15-pin HD15 jack allows you to connect your personal computer to the display. There is also a corresponding stereo minijack (3.5mm) for the computer's audio signal. The PC input can accept up to a 1920 x 1080 signal. The TV's HDMI inputs can also be used to connect your computer. USB Input: Using the USB (type-A) input on the rear panel of the TV, you can access content stored on a USB thumbdrive The material can be MP3/WAV music files or JPEG/BMP pictures. Audio Outputs: The Pro Series SunBriteTV is outfitted with a SPDIF digital output and analog output. The SPDIF digital output consists of a coaxial (RCA) jack with support for 2ch PCM or bitstream. The analog output consists of a stereo minijack (3.5mm) connector. The digital output is fixed, while the analog output is variable. Audio/Video Settings: The TV offers a variety of audio & video adjustments. Video Adjustments: You can adjust the following video settings - Contrast, Brightness, Sharpness, Tint, Color, Color Temperature, Noise Reduction, Backlight Level & Dynamic Light Control (DLC). DLC automatically optimizes the brightness and contrast for the program you are currently watching. Audio Adjustments: You can adjust the following audio settings - 5 Band EQ (120, 500, 1.5k, 5k, 10k Hz) & Surround Sound Effect. Detachable Soundbar Speaker: A weatherproof, detachable 20W soundbar speaker is included. It can be mounted above or below the TV. Remote Control: The included weatherproof remote provides wireless operation of the SunBriteTV outdoors. The TV is also equipped with a RS232 Serial Port for discrete on/off and input control. A rear IR receiver located in the cable compartment keeps IR emitter hidden and protected. There is a remote lockout feature that prevents unauthorized users from changing programming. Weatherproof Cable Entry System: Cable hookups are easy with SunBriteTV's weatherproof cable entry system. 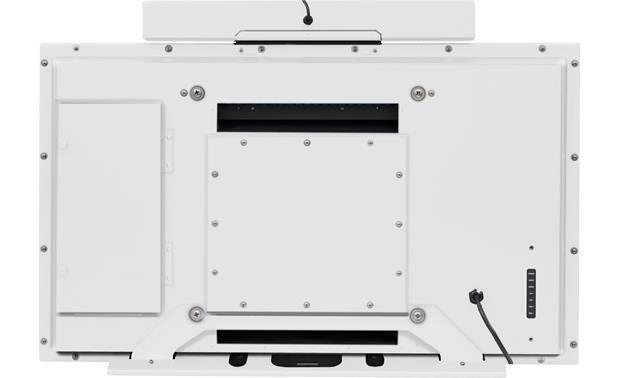 Thick gaskets form a compression seal around cables, and the media compartment can accommodate many types of media players and baluns. A media bay power port provides on-demand power without the need for external cords (5v@3.5amps/12v@3amps). Mounting Options: Made for permanent outdoor installation; SunBriteTV Pro Series is perfect for patios, decks, porches, etc.. This TV does not come with a pedestal stand, but one is available and sold separately (see accessories tab). 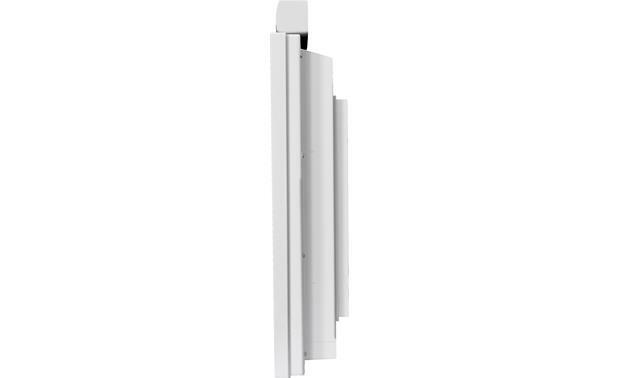 The TV is also equipped with 400mm x 400mm wall-mount inserts for mounting the television to a wall using an optional outdoor wall-mount bracket (sold separately). Attached Power Cord: The TV is equipped with an attached AC power cord. 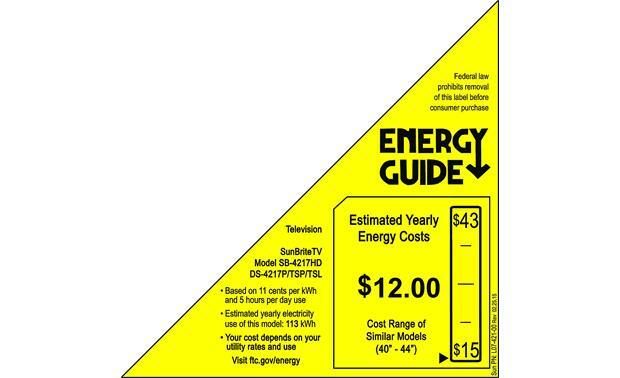 When using the TV outdoors, you must use a GFI protected AC outlet with "in-use" waterproof cover. Wake Up Timer & Auto Turn Off: The Wake Up Timer allows the TV to turn on automatically at a preset time. This TV will also turn off automatically if there is no signal present for more than 15 minutes. Does this unit gave a wireless HDMI system? I want to use a Roku stick. 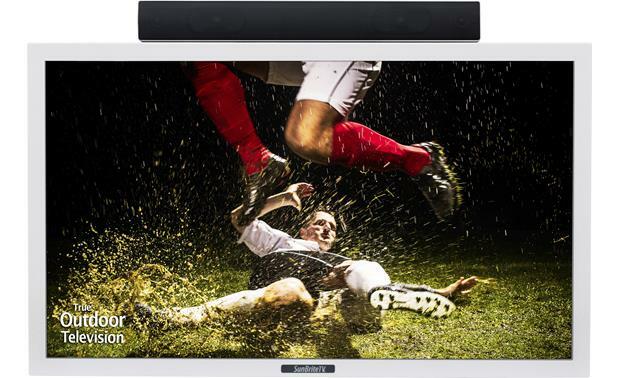 Searches related to the SunBriteTV® Pro Series 42" weatherproof outdoor 1080p LED HDTV.